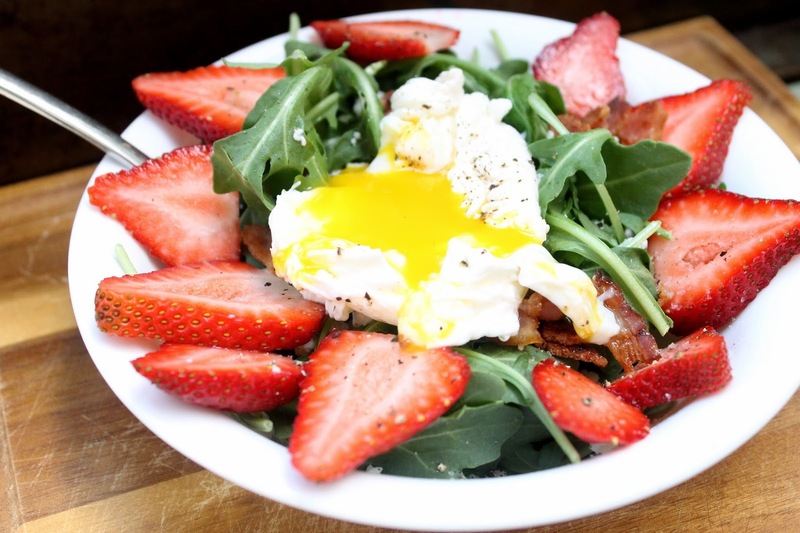 Start by poaching your egg and cooking your bacon. 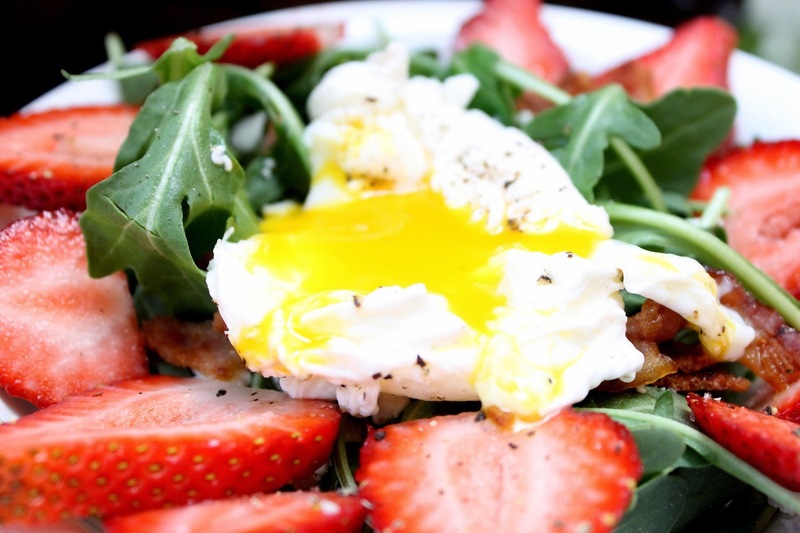 If you've never poached an egg before you should follow this recipe. 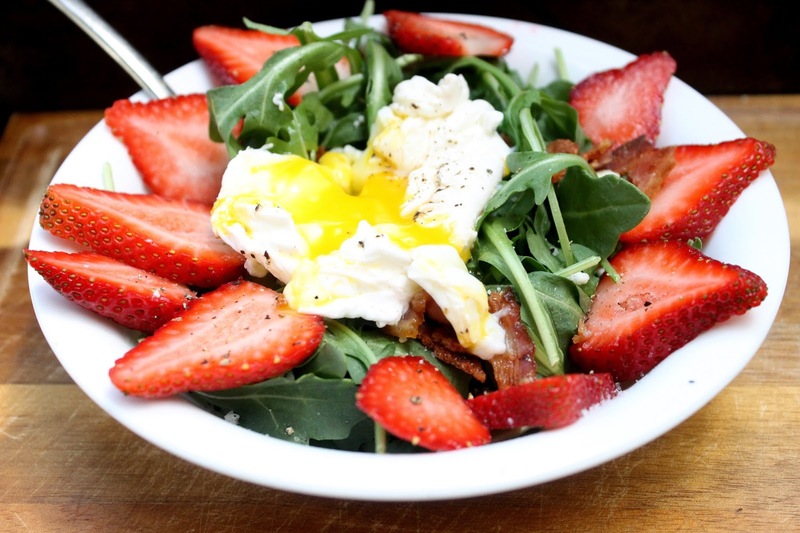 While your water is boiling and the bacon is sizzling away plate your arugula, slice the strawberries, and sprinkle on the gorgonzola. 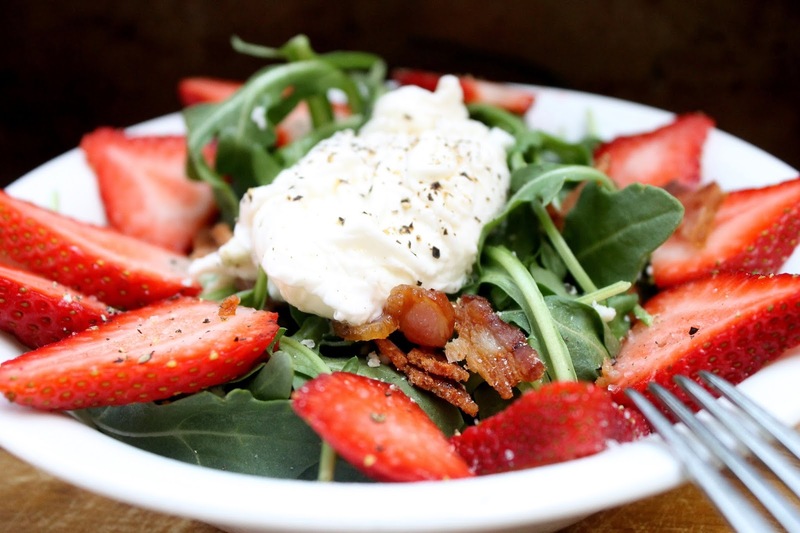 Then crumble the bacon into pieces spreading it evenly across the entire salad. 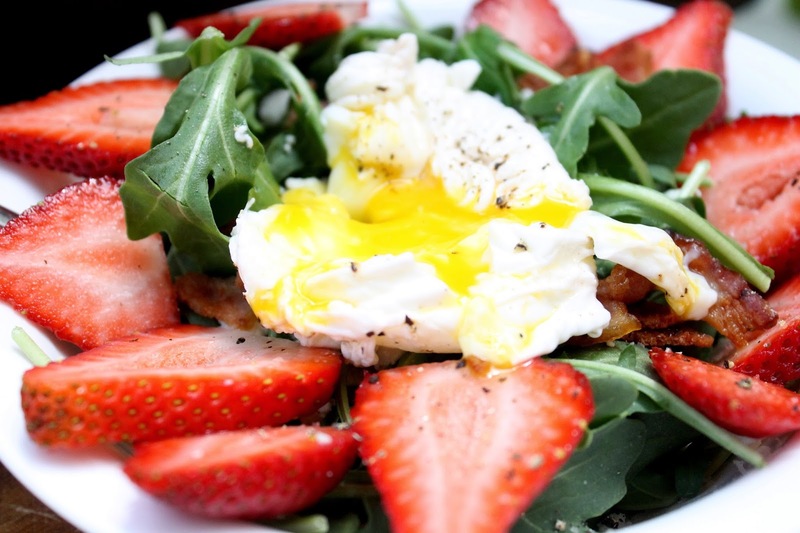 When it's ready place your poached egg in the middle, then break it open and let the yolk flow. 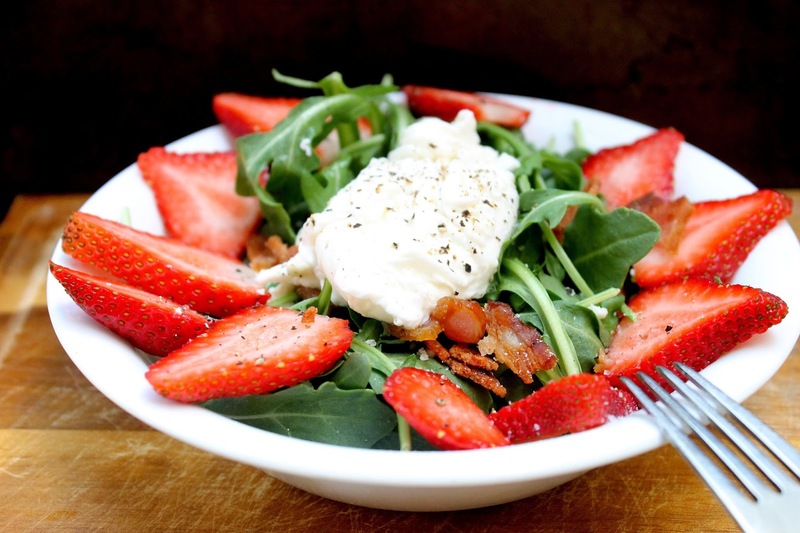 I cut my salads so everything is evenly coated and you get a bit of each ingredient in every bite. 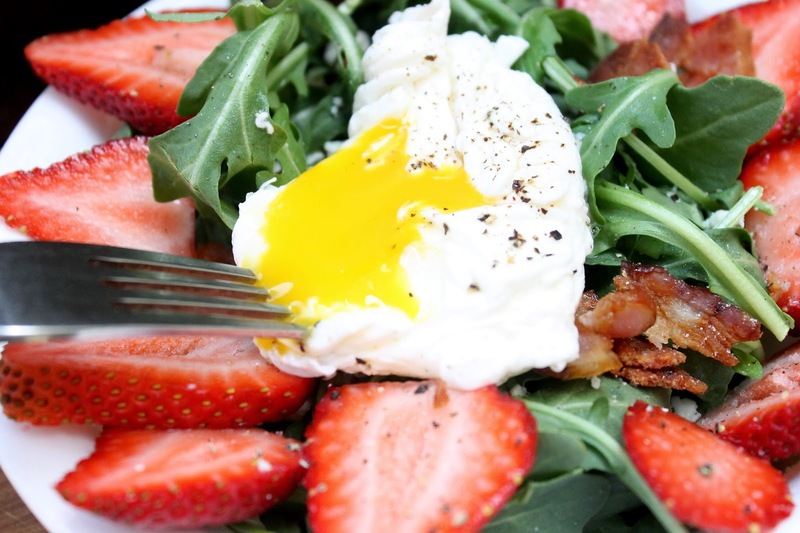 I let the yolk act as the dressing for this salad; it's rich and creamy and coats each piece of salad perfectly. 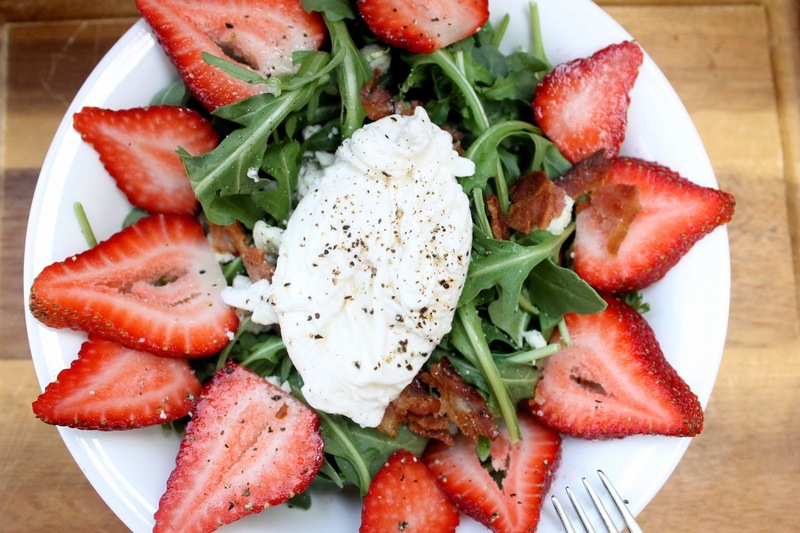 The saltiness of the bacon and gorgonzola combined with the sweetness from the strawberries is what makes this salad one of my favorites.